Apple invited fashionistas to its Sept. 9 event, causing many to speculate that Apple is launching its so-called iWatch. The movers and shakers of the fashion world will be at the Tuesday event which is likely to be about wearable technology, according to Reuters. It only makes sense that those in fashion would be more interested in technology adorning the human body. Fashion editors told Reuters that it was their first time receiving invitations and they believe it was because of the smartwatch that Apple is rumored to be creating. "I assume it's because they are unveiling a wearable," Lea Goldman, features and special projects director for Marie Claire magazine, a first-time invitee told Reuters. "This suggests Apple is serious about tapping into the fashion world, which often sits on the sidelines." Apple didn't comment on the subject to Reuters, but other fashion mavens said that Apple appears to be courting the fashion press. Apple has also made inroads into the fashion world by hiring the former vice president of global sales and retail at Tag Heuer and a former chief executive of Burberry. So, clearly Apple has become interested in its devices as accessories and wants the world to see them as such. 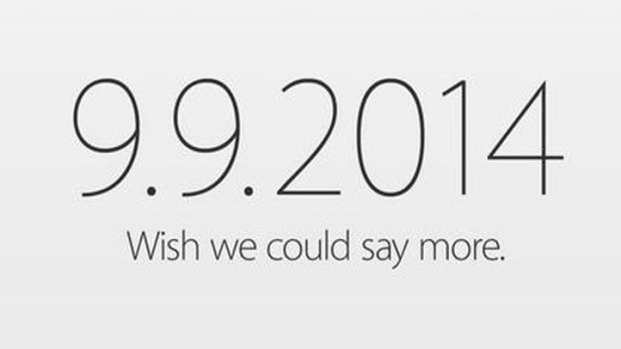 Apple has made it official: The next gadget event will be September 9th. Ian Cull reports.